Table is great for light weight, easy handling, commercial use. Applications include restaurant, banquet, weddings, office, catering, and more! 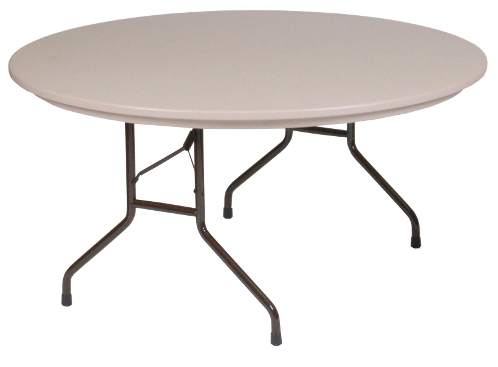 This table only weighs 63 lbs, making it the perfect choice if you are constantly setting up and breaking down events. The ease of transport helps with labor costs. The blow molded top is quite resilient to stains, chemicals, and water. Stains can be easily removed with soap and water. Standard Quick Ship Table Colors-This table ships in 3-5 business days.